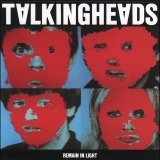 Remain In Light is ranked as the best album by Talking Heads. Members who like this album also like: Wish You Were Here by Pink Floyd, London Calling by The Clash and Unknown Pleasures by Joy Division. Related links: top tracks by Talking Headstop tracks of the 1980s, top tracks of 1980. Showing latest 5 ratings for this album. | Show all 1,718 ratings for this album. 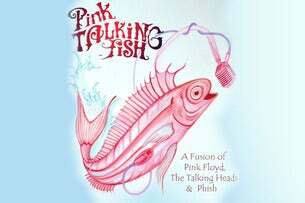 Related links: top albums of the 1980s, top albums of 1980. Rarely can a band become so popular by virtue of being so unapologetically bizarre. The musicianship is dissertation-worthy with all of the styles it seamlessly integrates. And what the hell is David Byrne's voice, anyway? Yep - get the African themes in here. With a recent re-listen I found that the backing vocals are not so much a backing vocal but are almost a duet with Byrne on many occasions. His statement with the tribe response perhaps? Whilst listening I thought the lead guitar on The Great Curve sounded somewhat familiar and think I've nailed it to the same kinda sound and feel on Bowie's Lodger - especially Red Sails and Boys Keep Swinging - but het Eno worked on that album as well. I found the final track - Overload - to almost be a homage to Joy Division with his vocal delivery and sombre music. Best track: "Seen And Not Seen"
Truly bizarre album that is immense fun. An absolute peak in the New Wave journey. Alert to cult record !!!! Talking Heads is one of my 5 favorite bands (with Velvet, RATM, Radiohead and Pixies), their originality is extraordinary and their sound is unique and dancing. In the early 80s, David Byrne and Brian Emo (2 great geniuses of music) create a musical UFO that is probably one of the most cult of all time. "Remain In Light" is totally revolutionary in the use of instruments since it mixes African rhythms and urban electronics. The legendary Talking Heads album remains as danceable and modern. This record is fabulous and visionary. Best track: "Once In The Lifetime"
Tina Weymouth's baseline on Born Under Punches is absolutely outstanding. Given that there are two basses (her's and a slap bass) on that song, it can get a little buried in noise on the album version. but, they really accentuate it on live versions. And once you know exactly whats lying under there, its hard to listen to anything else. even on the album. might I suggest this particular live version, for starters. This beautiful chaos. None of the instrumentation should work but it all does. There are so many different sounds going all over the place but somehow they all come together to form this work of art. Everything up until "Houses in Motion" is incredible. The last three songs are OK but not really comparable to the first five, those are just something else entirely. O baixo e o ritmo desse álbum é espetacular! Grande influenciador da música que veio posterior! Very weird album in a good way ofcourse. Very very funky and psychadelic, can't reliate to the other half of this album.. can't figure out why. I'm gonna try to give it a few more listens. This is an amazing album. Quirky, funky, full of energy. Born Under Punches is one of my favorite songs.